In Part II we will discover that December 25th was actually the birthday of many pagan gods throughout the centuries beginning with Nimrod. 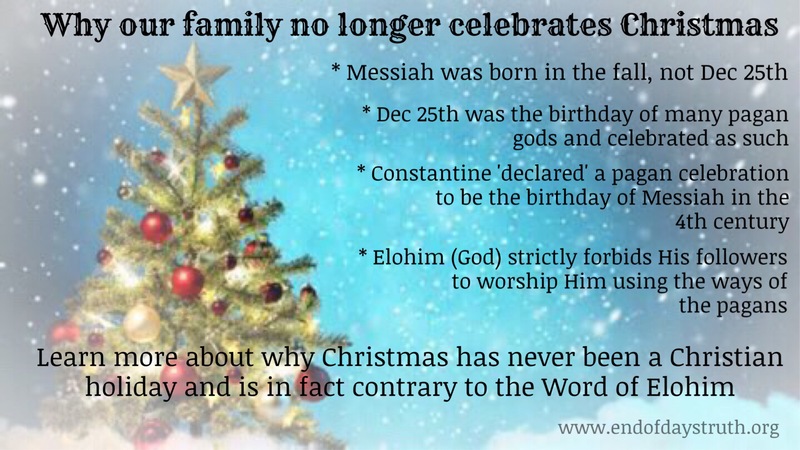 Also we’ll see how the first time December 25th was ever celebrated as ‘Christmas’ and the birth of Messiah was in the 4th century when Constantine simply declared it be so. When he merged the already pagan celebration “Saturnalia” (celebration of other gods, Saturn, the sun/Nimrod, etc) with so called “Christianity”. 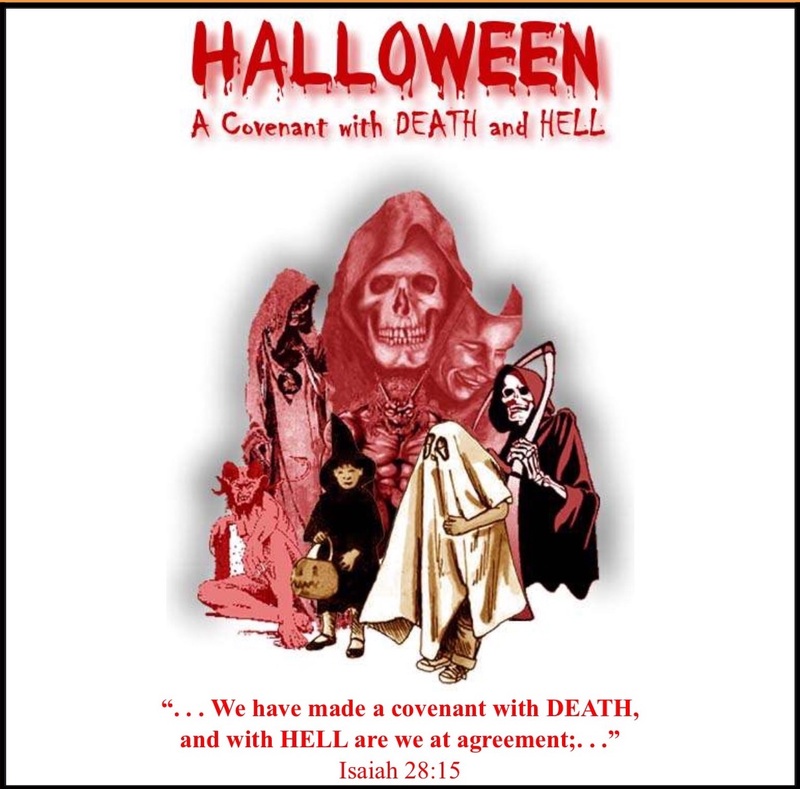 This entry was posted in deception, enemy infiltration, false teaching, Following Messiah, truth, wake up church on November 13, 2015 by Misty. 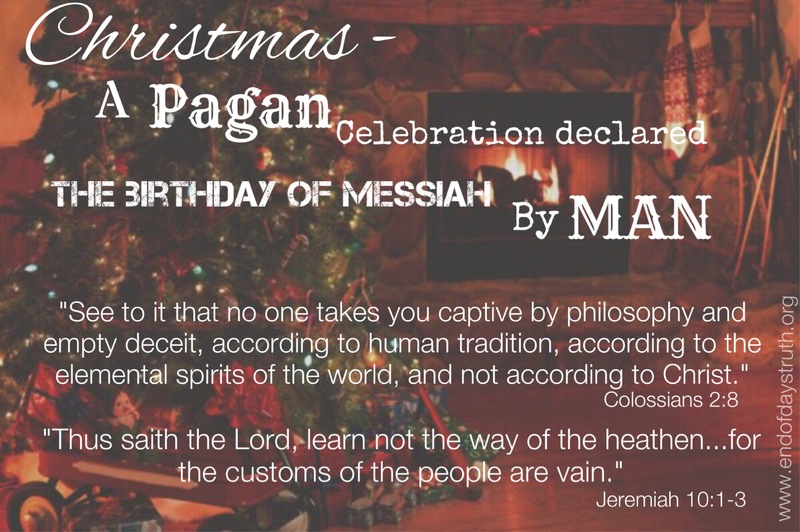 I would just like to reiterate again, these posts are very brief summaries of the pagan roots of Christmas. I encourage you to watch the videos provided in these posts and visit the links as well. If you really desire to know the truth about the holiday we know as Christmas you will dig and study for yourself. The information contained in these posts are simply a starting point for your research. I pray you continue your study and allow the Holy Spirit to grant sight to your eyes concerning these truths. In Deuteronomy 12, Elohim is warning His people about false gods. This post will consist of 2 parts. Part 2 coming soon! To all of my Essential oil loving friends (I am one too). I encourage you to really look into the companies that you promote, support and have become aligned with as a distributor. The one I am touching on in this post specifically is Young Living, simply because it is the company I have done the most research on. 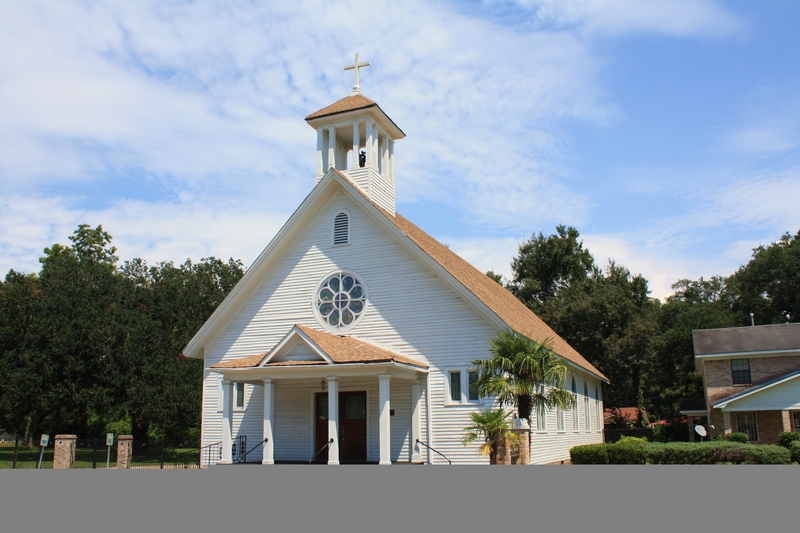 This entry was posted in deception, enemy infiltration, new age, truth, wake up church on October 26, 2015 by Misty. * This post is a brief summary on this dangerous deception. Please click the links in red throughout this post and at the end to learn more. 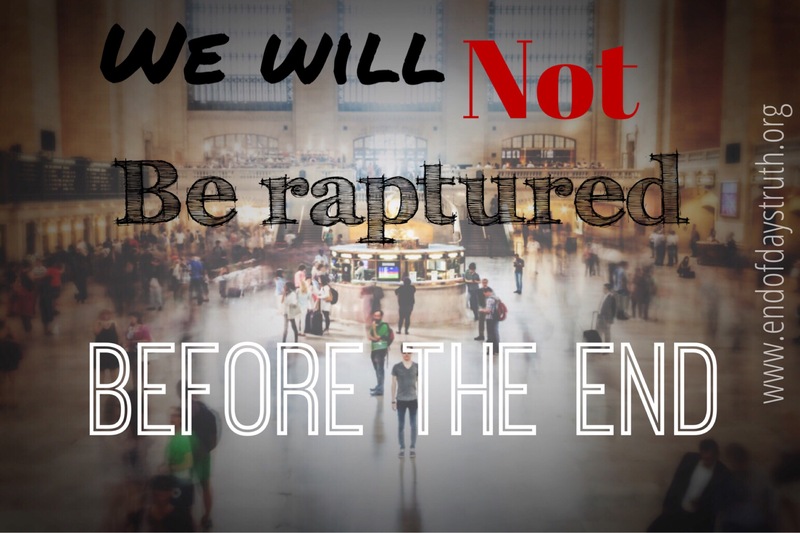 This entry was posted in deception, enemy infiltration, false teaching, truth on October 21, 2015 by Misty.